It is that time of year...DIBELS time! We have used the Dynamic Indicator of Basic Early Literacy Skills (DIBELS) test for 6 years in our corporation. We began with the paper pencil test and have moved onto using our iPads for testing. Currently our corporation test grades K-2 but beginning next year we will test K-5. We use the these scores to help drive instruction in our small groups. 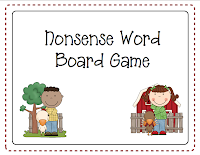 Of course many children have difficulty with nonsense words. 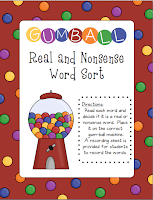 I have searched for nonsense word activities and they aren't easily found. This left me with one option...make them myself! 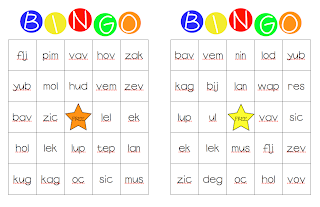 Our kids LOVE playing these 'games' during RtI time! 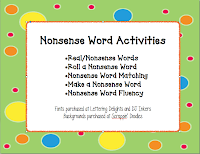 Here are all of the activities that I have created for reviewing NWF. Enjoy! Thanks! We like to switch things up to keep the kids engaged!